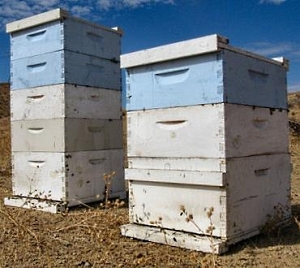 Is Beekeeping the Right Choice For You? Beekeeping is a popular hobby practiced all over. People in rural areas and in the city can keep bees, and it can be either a hobby with a little return (in the form of wax and honey) for the family, or it can be a profitable business. However, not everyone should keep bees. While it's a fun and rewarding hobby for many, it's not right for everyone. Let's take a look at what goes into beekeeping to see if bees are the right choice for you! For the right person, this is a great opportunity to enjoy some real, homemade honey, and possibly even earn a little bit of money. You're going to need an acceptably sized space to keep your bees (a large back yard is a minimum for all but the most resourceful beekeepers), and food in the immediate area (a two mile radius) to help them survive and produce honey. You'll need time to invest in keeping the hives in good shape and money to invest in hives and basic supplies for your beekeeping operation. You're also going to need to be the kind of person who doesn't mind being around bees! Make sure no one in your area or household is allergic to bees before you start your beekeeping operation, and remember that you might need to do a little bit of outreach to your neighbors. Many people don't know the difference between a bee and a wasp, and might mistake your beekeeping operation for a hazard. Try explaining what it'll do for their rosebushes and that bees sting infrequently, and things will be much easier. If you know that you're the kind of person for whom beekeeping will be fun and enjoyable, you can start looking at what you'll need to do it. There are plenty of places online where you can order the equipment you'll need, but don't jump right in before you know what you're going to need. Decide how many bees you want to keep (if you're planning this as a business, you'll need more than if you just want a couple of hives in the back yard) and what you're going to do with their produce. Honey and wax can be useful at home, or they can be sold off to local buyers for a profit, as long as you know what you're doing and how to market them correctly. Just make sure that if you don't feel ready for a business venture, you don't rush into it. Poor planning has been the death of many great businesses, before they ever got off the ground. Remember, you can always stick to beekeeping as a hobby and enjoy some delicious honey while you decide how to turn your beekeeping into a money maker.